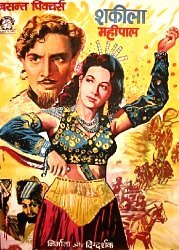 Scheda: Nazione: India - Produzione: Basant Pictures, Wadia Brothers Production - Soggetto: da Le Mille e Una Notte - Sceneggiatura: Tahir Lucknowi, Chand Pandit, J.B.H. Wadia - Fotografia: Anant Wadadeker - Montaggio: Kamlakar Karkhanis - Musiche: Chitra Gupta, S.N. Tripathi - Formato: B.N. - Durata: 145'. 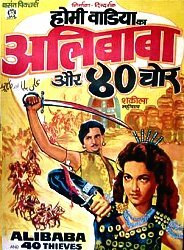 Cast: Mahipal, Shakila, B. M. Vyas, S. N. Tripathi, Sharda, Maruti Rao, Lalita Kumari, Shalini, Sardar Mansoor, Dalpat, Shri Bhagwan, Shapoor Aga, Helen. 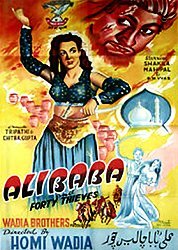 Plot Summary, Synopsis, Review: IMDb - allmovie.com - themoviedb.org - bombaymann2.blogspot.it - encyclocine.com - letterboxd.com - en.wikipedia.org: «Alibaba and his brother are out with their donkeys when one donkey runs away and Alibaba follows looking for him. Hiding behind a stone he sees forty thieves ride up to a hillside and the chief saying "Khul Ja Sim Sim" (Open Sesame) and a cave door opening. He later goes back there and returns a rich man. 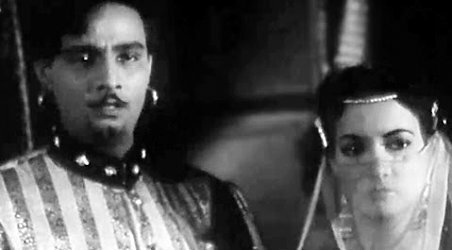 The jealousy of Alibaba's brother’s wife lands her husband in trouble with his head being cut off. 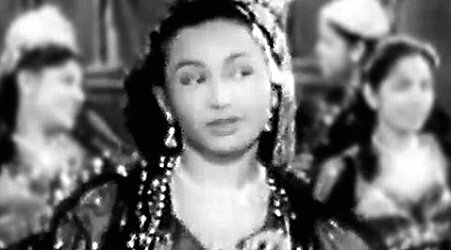 Marjina, Alibaba’s beloved finds a tailor who sews him back. 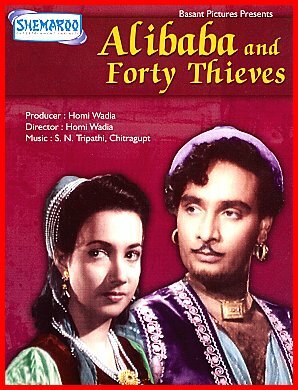 The thieves find out about Alibaba and meet him under false pretenses. He invites them home where Marjina finds out the chief’s strategy of pretending to be a merchant. She gets the 40 vats he’s brought to hide the thieves in thrown down the hill. Finally Alibaba is free of the thieves and lives amicably with his brother and family». 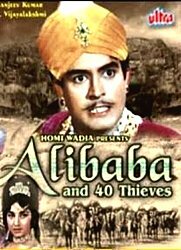 Conosciuto anche con i titoli: Alibaba and 40 Thieves.